This book is clearly and succinctly written, which is a crowning feature of this writer's work. I have purchased nearly all of Robin Whalley's books because I can be sure that I am getting great value for money. Layers is not an easy subject to explain, but Whalley does it better than most.. You have to follow the book closely, though, and be prepared to re-read sections and practise what you are learning. I wouldn't hesitate to recommend it to friends, Pound-for-pound, its is unbeatable value. It has become my layers 'how to' book of choice. IMPORTANT: This book applies to any version of Photoshop supporting Layers. DO NOT BUY this book if you only have access to Elements or Lightroom. Adobe Photoshop is the primary editing tool for many photographers wishing to enhance their work. Photoshop is flexible and powerful but this can make it difficult to achieve consistently good results. If you want to achieve professional results you need to use professional techniques. Layers, together with Layer Masks and Layer Blending Modes are the tools of the professional image editor. If you can’t apply these tools properly your results will be severely limited. This book is specifically designed to meet the needs of photographers wishing to enhance their work. 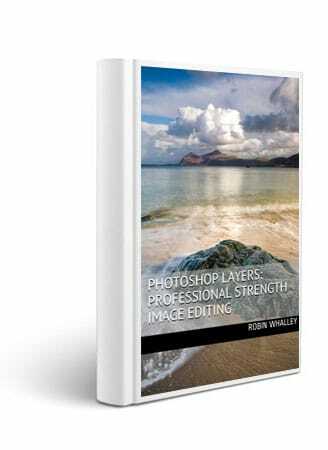 It presents a comprehensive learning resource for integrating layers, masks and blending modes into photography editing. Here you will find the essential, key learning points in an easy to understand text that will allow you quickly adopt these tools. Section 1 explains how to work with layers and how you can combine these into your Photoshop editing workflow. Section 2 looks at masks and how you can use these to target specific areas of your images with adjustments. You will learn how to create both simple and complex masks using fast, easy to apply techniques. The section concludes with a worked example demonstrating how to combine two images seamlessly. Section 3 examines blending modes and how these can be applied to layers with many creative possibilities. The section then continues to look at how texture files can be blended with photography to produce unique and distinctive digital artwork. Supporting the book is a collection of images which can be downloaded from the author’s website (www.lenscraft.co.uk). These are the same images used throughout the book to illustrate exercises so that you can follow on your own computer. The book contains 17 learning exercises, 3 full length worked examples for you to follow and 134 illustrations. At over 27,000 words this is not a long book in comparison to many of the bloated Photoshop text, but all the essential elements are here, clearly explained. Don’t waste your valuable time reading through worthless filler material. Read this book first. IMPORTANT: The book assumes a working basic knowledge of Photoshop. If you don’t have a basic understanding this is not the book for you. Please consider my highly rated book “Essential Photoshop” which is also available on Amazon.